Glassberg received praise from Senate President Steve Sweeney during a ceremony for retirees at Rowan this week. 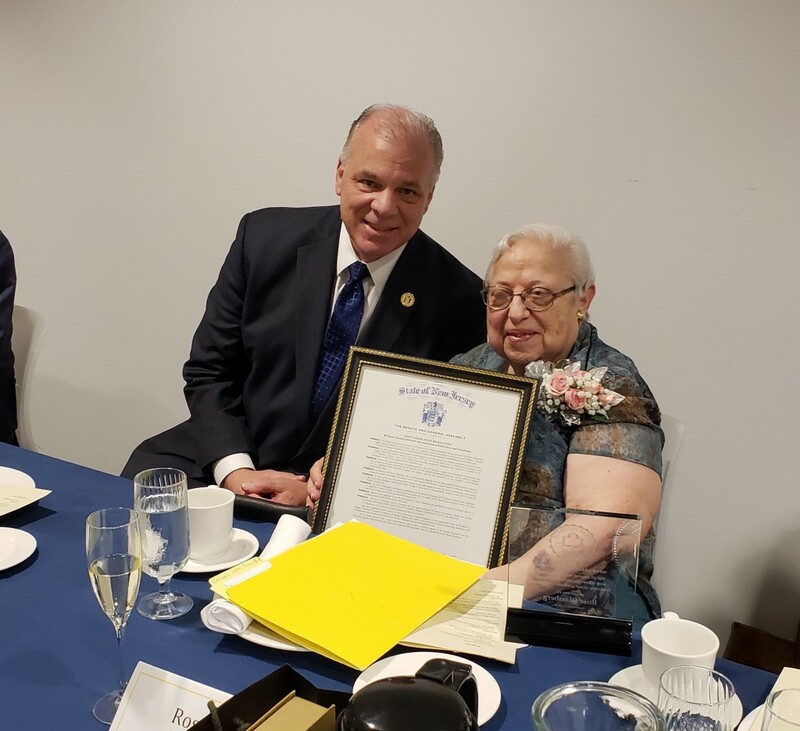 Senate President Steve Sweeney praised retired Rowan University Professor and Cherry Hill resident Rose Glassberg during a ceremony for retirees at the university. “The women and men who decide to become teachers should be admired and respected as the leaders they are,” Sweeney said. “When they are exceptional — as Rose was — they open doors to the world for their students. Rose did that and more. The American Federation of Teachers Retired Group helps future teachers pay for their education through scholarships. The group receives funding through donors and its holiday sale. Glassberg has been the president of the AFT Retired Group for 25 years. When she became president, the AFT group was only able to give one yearly stipend to a student who was pursuing an education degree. Now, due to her leadership, the AFT offers four annual scholarships.